If you’re looking for hardwood flooring Gemini Floor Services is centrally located in Brooklyn and serves the 11219 Brooklyn neighborhood of Borough Park. Gemini Floor Services is a family owned local flooring contractor in the flooring industry over 30 years serving Brooklyn and NYC metro area since 2005. 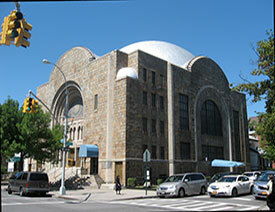 Borough Park is home for many Orthodox & Hasidic Jews. The neighborhood is about 85% Jewish with some diversity in it’s other residents. Every aspect of the Jewish culture is prominently established here. Yiddish & Hebrew, Jewish dress, kosher food shops & synagogues are everywhere. There’s over 200 houses of worship. They’re almost all Jewish with the exception of several Catholic churches & mosques. Stores are all closed on Saturday in observance of the Sabbath. It’s truly a “Little Israel”. Visiting the neighborhood is really like being transported to a different country. 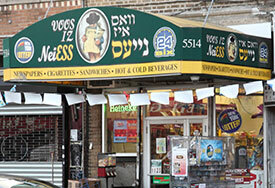 Shopping along 13th ave is bustling with authentic Jewish supplies and kosher restaurants & groceries. Avenue Plaza Hotel on 13th is a reputable kosher hotel catering to all types of visitors. Public school attendance is very few with most resident children attending private Jewish boys or girls schools. The neighborhood is family friendly and safe with very low crime. There’s a strong sense of community amongst residents. Large Jewish families are common in Borough Park. So much so that the city changed building codes in the neighborhood to accomodate for larger houses. Many homes have renovated to maximize the homes’ square footage. Most lots are built out with all house & practically no yard. New York City is unique because of such cultural diversity. You can see various cultures from around the world transplanted here. Many have their own neighborhood ethnic enclaves like Little Italy, Chinatown & Borough Park’s Little Israel, or Brighton Beach’s Little Russia to name a few. It’s like the flooring business which is also full with a wide variety of colors & flooring options.